Let’s face it—there’s always at least one item in our closet we adore for its uniqueness & exceptional qualities, but that we have difficulty incorporating it into an ensemble. But I think you’ll find that the moment you start getting outside of your comfort zone, a plethora of styling opportunities await. The trick to donning your favorite piece—whether it’s a feminine boho pencil skirt, a bright colored jacket or printed denim—lies in choosing supporting basics. Your crocheted pencil skirt’s detail demands attention. 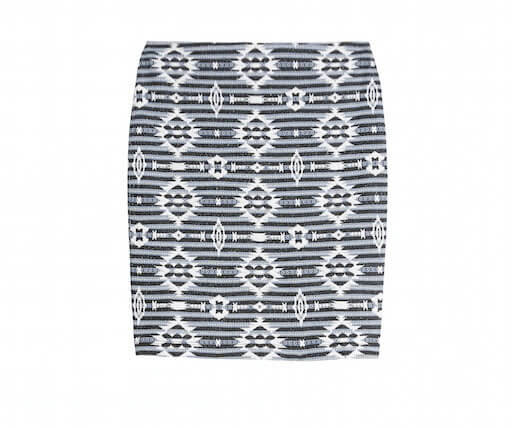 Keep the focus squarely on this skirt & pair it with simple, classically sophisticated elements to do right by it. Choose a blouse in an elevated material like silk & a neutral color like navy, black or even white (for a monochromatic ensemble). Don’t shy away from this skirt when seeking a casual, brunch or date-night look. Your pencil skirt makes a first-rate pairing with less expected casual basics like a T-shirt. Knot your tee at the corner, in lieu of tucking, to better demonstrate your style prowess. Finish with a slip-on sneaker or flat sandal & a crossbody bag to further establish your look’s effortlessness.